We've heard where $575 million of the contribution will go, including to renewable energy in Africa, climate risk insurance and to the Least Developed Countries Fund. We haven't heard what percentage of the funds will go to adaptation efforts. This needs early clarification, and there need to be transparent discussions on the disbursement of the over $2 billion that is yet to be allocated. 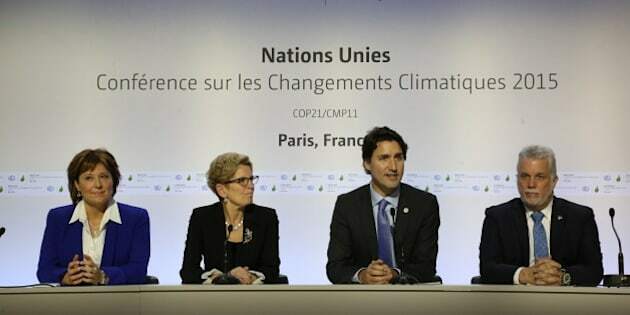 Canada's greatest contribution to the climate change negotiations in Paris last month may have actually come three days before official talks began, when Prime Minister Justin Trudeau announced $2.65 billion in funding over five years for developing countries. "Canada is back and ready to play its part in combating climate change, and this includes helping the poorest and most vulnerable countries in the world adapt," Trudeau said. It was welcome news. Yet, there will be three particular things we must watch to ensure these funds are indeed reaching the most vulnerable and having the most effect. So far we've heard where $575 million of the contribution will go, including to renewable energy in Africa, climate risk insurance and to the Least Developed Countries Fund. We haven't heard what percentage of the funds will go to adaptation efforts. This needs early clarification, and there need to be transparent discussions on the disbursement of the over $2 billion that is yet to be allocated. Adaptation could include rehabilitating a local watershed in the region of Amhara, Ethiopia, which faces chronic food insecurity, to reverse the trend of soil erosion, land degradation and loss of biodiversity. Or experimenting with conservation agriculture practices in northwestern Nicaragua to trap what little precipitation does fall in this increasingly arid region. There are currently hundreds of practical and strategic adaptation projects requiring finance to help people adapt locally to short and long-term climate change effects, working within national adaptation policies. The Paris Agreement calls for climate finance to be balanced between adaptation and mitigation efforts. An analysis of Canada's contribution to Fast Start Financing between 2010 and 2012 -- meant to kick start the mobilization of $100 billion annually by 2020 to support developing countries address the impacts of climate change -- found that only 18 per cent of the funding went to adaptation projects. The first thing to watch will be whether Canada is responding to identified global needs and providing equal funding for adaptation and mitigation work. While mitigation efforts are essential, there are people who are vulnerable now to the effects of climate change and already must adapt. Second, we need to monitor the adaptation funds to ensure they are provided as grants and not loans that would increase debt for poor people and poor countries. Of the funds Canada provided as its share of Fast Start Financing, a staggering 74 per cent was allocated as loans, which ultimately must be repaid. With its new funding, Canada should demonstrate that it is serious about truly helping those who are already dealing with more frequent flooding, sea level rise, drought, severe storms and their effects on farm families and poor urban households. We should not expect repayment. Finally, it is vital that the announced $2.65 billion from Canada be money that is new and additional to our existing international development funding. This is crucial, as climate change finance should not take away from other development work. The principles of the Paris Agreement are clear on this. It is unfortunate that no new targets on climate finance were included in the Paris Agreement. There are already concerns that the goal of $100 billion annually by 2020 will not be reached, and we know that the need for climate finance will only increase over time. Canada's $2.65 billion contribution is commendable. It's a first step. What's important now is that Canada's contribution be transparent and achieves good results. Canadian civil society has a role to play both in assisting with the delivery of these funds to local partners and with monitoring the funds to ensure they reach those most affected by our changing climate. Stephanie McDonald is a senior policy advisor with the Canadian Foodgrains Bank. John van Mossel is an independent environmental consultant. Both are based in Ottawa.